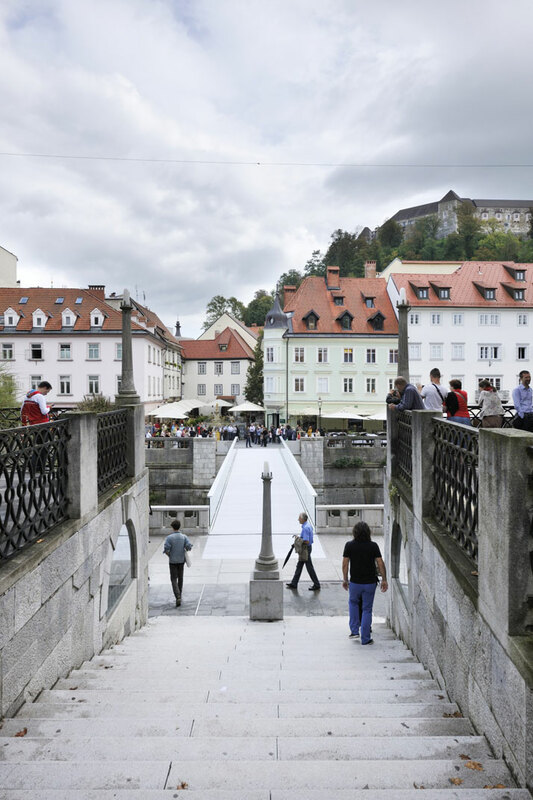 If you ever happen to find yourself in Ljubljana’s Fishmarket Square walking towards the city’s Parliament Square, then you’re sure to come across this extremely elegant footbridge that crosses the river Ljubljanica. 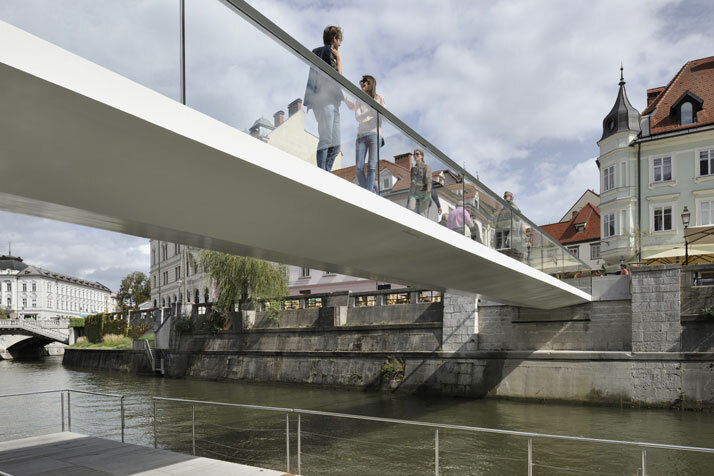 Designed by studio Arhitektura D.o.o., the minimal Ribja Brv, or 'Fishmarket’s Footbridge', has been erected in the exact location originally envisaged by architect JoÅ¾e PleÄnik (the master-planner who designed much of Ljubljana’s city centre in the first half of the 20th century). 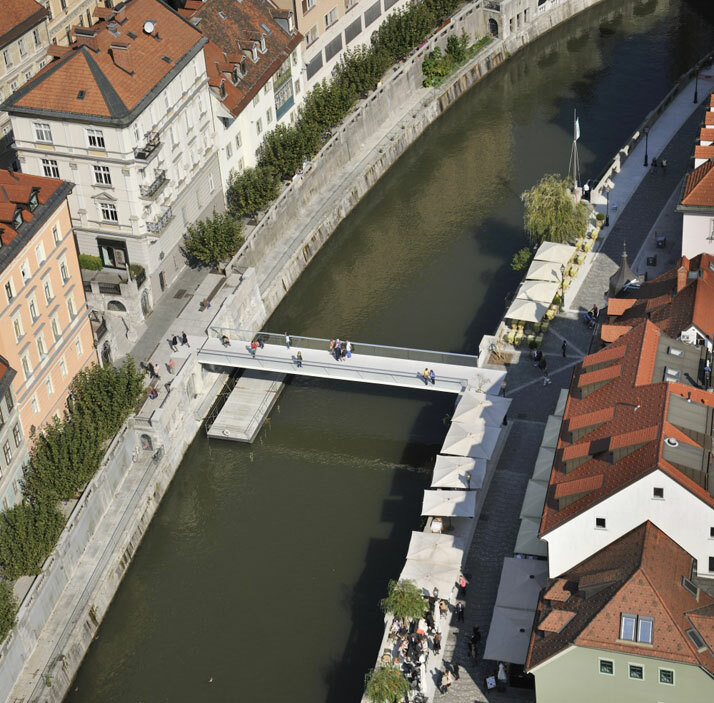 PleÄnik never managed to complete his plan, although a temporary wooden bridge was erected years later. 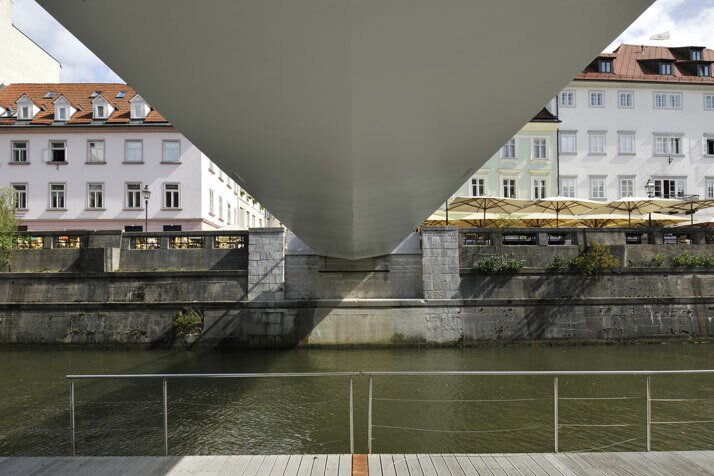 When it had to be replaced with a more permanent solution —the designers at Arhitektura D.o.o. 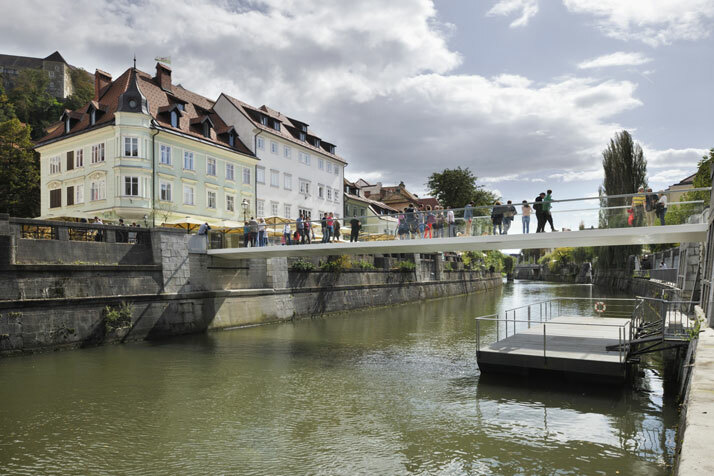 were brought on board to answer the following question: what would that old bridge that was never built look like today? 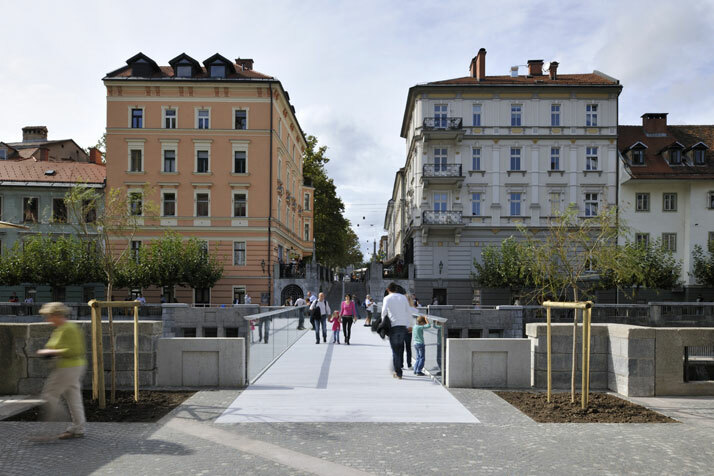 Respecting PleÄnik’s legacy all around the site, the final solution materialised in the form of a minimal and non-imposing design featuring transparent railings and a deck that seems almost paper-thin from a distance (the edges of the deck are a mere 25 centimetres thick). 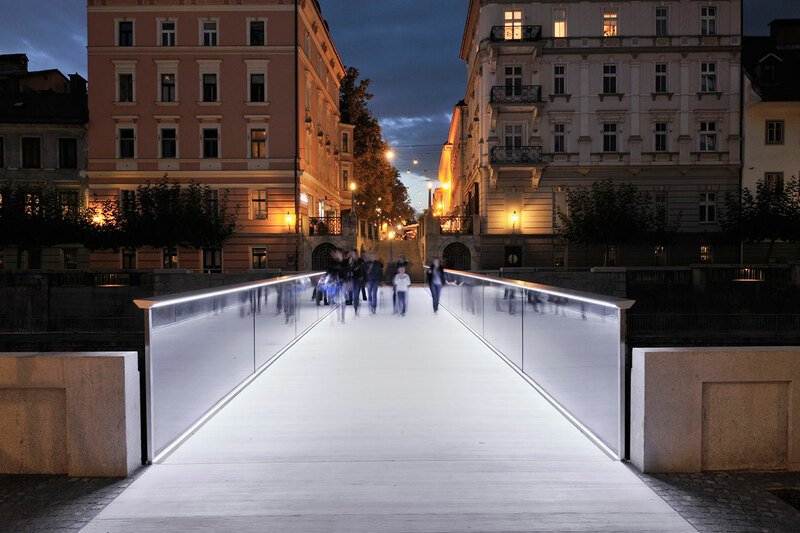 Installed in 2012 on the original riverbank ‘facades’ and plinths that PleÄnik had provided for the intended bridge, the new bridge transforms into a passage of otherworldly light at night, lit by LED lights hidden in the railing handles.